I love to climb, and I love to run. For several years I stopped running seriously. I would run here and there, maybe running 3-4 times/month. During this time I climbed a lot. My movement skills as a climber improved. A few years ago I began training as a "runner" again. I missed having the benefits that come with exceptional cardiovascular fitness - walking up hills is easier and you get far less winded during approaches and descents. One of my more regular clients trains a lot, and enjoys cycling, running and climbing. He's never been a specialist at any of them though. On many days I've had discussions with him about training for two sports at once. The reality is that it's very hard to perform well in more than one sport at a time. As an adult I probably won't ever run as fast as I did in college and high school. In high school I wasn't climbing 5.12, WI6 and M9 though. Being able to climb well and run well (even be competitive at a local level) is a dream of mine though. I thought is was likely impossible, but now I'm not so sure. My sister, Sage Stefiuk Norton, began adding weight training to her running workout regiment recently. As a result she's gained significant muscle mass as well as strength. Looking a bit like a climber, she thought the extra muscle might hurt her running times, as gaining mass tends to do for many people. On the contrary, she's running faster than ever. During the last month she's run a couple of outstanding races, with extra lean muscle mass in tow. 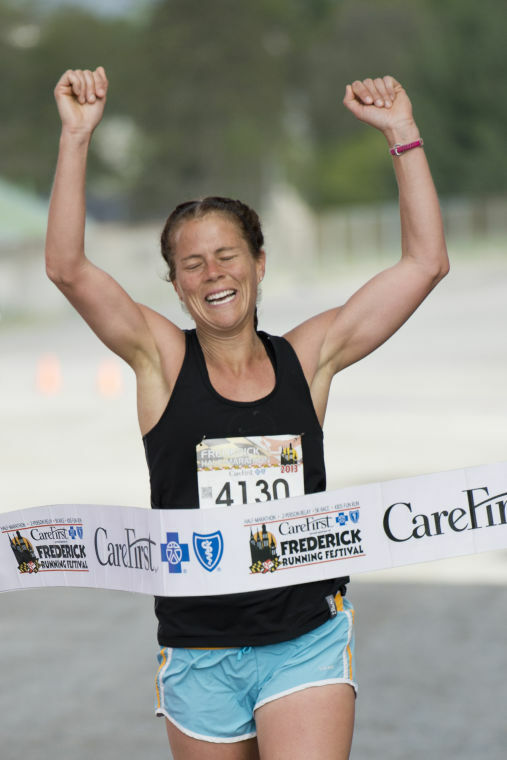 In a spur of the moment decision she entered the Gettysburg Marathon, where she was the first female finisher (2:57). During a half marathon the following week in Frederick, MD she won the women's division there too, in 1:22 (that's 6:20/mile if you're wondering). Good job Sage. You're an inspiration for many of us, and you keep me hoping that I'll be able to climb well and run well in the months and years ahead.